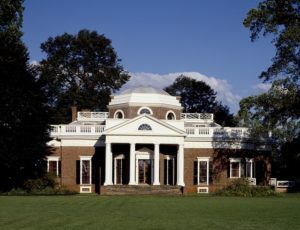 Named for Elizabeth I – England’s “Virgin Queen” – Virginia is one of the oldest states in the United States, and one of the first to join the burgeoning country back in its infancy. It’s the birthplace of many of America’s presidents, the home of most of the nation’s Tobacco industry, and one of the best places in the country to start a business. Here are just a few reasons why. It’s estimated that somewhere around seventy percent of the world’s Internet traffic flows through data centers situated in Northern Virginia. These facilities, which occupy millions of square feet, are integral to the existence of the world wide web and provide the backbone for some of the world’s largest websites and Internet businesses, including Amazon, which has maintained a data center in the state since 2006. What this means is that if you want to start a web business or cloud-services business, Virginia’s a perfect place to do so. Not only that, your close proximity to so much infrastructure guarantees faster Internet speeds. That’s especially true if you rely on Amazon Web Services. In addition to hosting so many data centers, Virginia is also a major hub of aerospace, agriculture, mining, technology, and the military. There are several major military centers there, and over 20 bases are peppered throughout the state. This puts Virginia in an ideal position to promote innovation and growth, as these are some of the most technologically-oriented industries in the world. Particularly in the city of Richmond, Virginia’s said to be on the verge of a ‘golden age’ of entrepreneurialism. Business incubators have never had more traction there, and both state and local universities have seen enrollment in entrepreneurship classes explode. Taken together, this means two things – increased competition for startups, but also a better, more entrepreneur-oriented community. Although Virginia is a major home of agriculture, manufacturing and technology are gaining ground. This means Virginia is set to become a hotbed of innovation, and a state with a powerful, quickly-expanding economy. It’s also worth noting that Arlington is quickly becoming known as a hub for cutting-edge startups. Last but certainly not least, Virginia is served by 14 commercial Airports, including two of the busiest in the nation – Washington Dulles International and Ronald Reagan Washington International. The Port of Virginia offers world-class shipping facilities with sailings to 250 ports in 100 foreign countries, and its railway system covers over 3400 miles of track. In other words, if you want to travel frequently or ship products around the world, Virginia’s a great place to call home. Now that you know a bit about the why of founding a startup in The Virgin State, let’s talk about the how. Our comprehensive guide on starting a business in Virginia will teach you everything you need to know, from the conceptual stages straight through to annual operations. Check it out, and give us a ring if you need any extra help! This entry was posted on Wednesday, October 25th, 2017 at 8:18 am	and is filed under Starting A Business. You can follow any responses to this entry through the RSS 2.0 feed. You can skip to the end and leave a response. Pinging is currently not allowed.